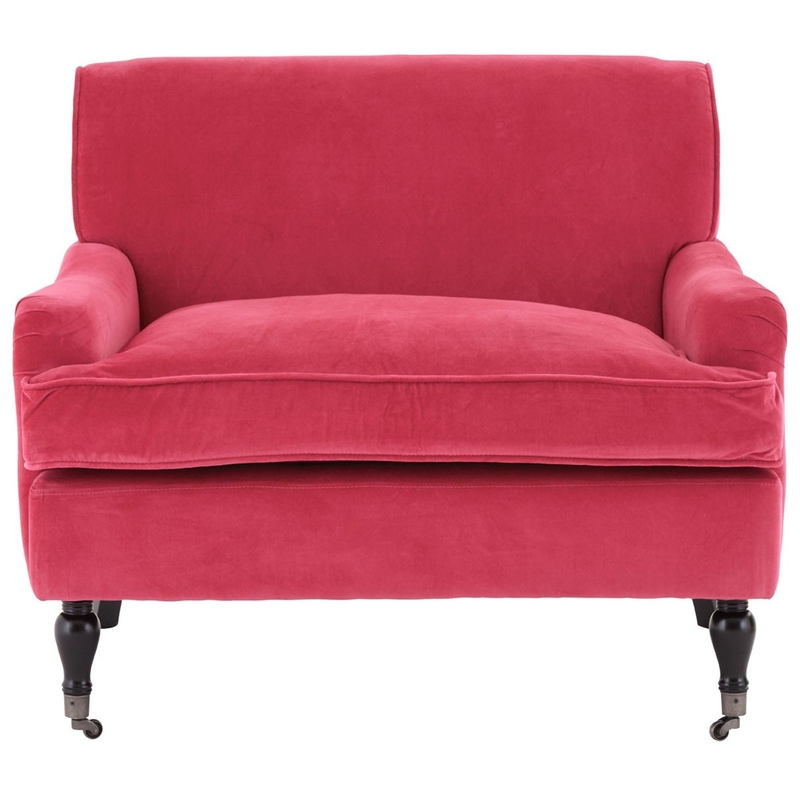 Make your home pop by introducing this fantastic plush velvet armchair. It'd fit fantastically in any type of home, especially a contemporary one. It has a beautiful pink plush design which not only looks fabulous, but is also very inviting to sit on. This armchairs main aspect is its comfort, it looks incredibly comfortable and is because of its plush cotton velvet seat.